"Beatles '65" album. The in-depth story behind the Beatles' fourth Capitol album. Recording History. Origin of the Album. Capitol Records. It seemed like an eternity. It had been way back on July 20th, 1964 that the last new American Beatles album had been released. And now it was December - nearly FIVE MONTHS later! How did John, Paul, George and Ringo think their fans would survive THAT LONG without new songs to enjoy? Sure, five other albums had been released since then, but three of them were Vee Jay reissues of old material, one of them was on the Atco label that contained only four Beatles songs (three of them backing an Elvis sound-alike Tony Sheridan), and the other was a Capitol-released documentary album. And, yes, American Beatles fans bought those too, but when were those "dreamy" Liverpool boys going to give us something new? I mean, newer? Nowadays, having to wait over a year, and sometimes many years, until your favorite artist releases their next album is quite ordinary. Things were much different in 1964, especially considering the hysteria created by The Beatles. Looking at the immense catalog of 71 songs (including Tony Sheridan material) that flooded the American market in that year, one would think it would be enough to satisfy any enthusiast. The fact is, though, that this music, recorded over a four year period, was catapulted onto the American market within a brief twelve months. But for young "Beatlemaniacs," it wasn't enough! For Beatles fans who lived in Pittsburgh, New York and Atlanta in early December of 1964, anticipation was especially great. Major radio stations in those states obtained British copies of the "Beatles For Sale" album, which had already been released in that country on December 4th. This album of all new material was, according the Billboard magazine, "garnering plenty of yule season airtime." This meant that Capitol Records needed to act fast. With 1964 being an amazing year for Capitol Records, they knew that they should capitalize on The Beatles' success for the Christmas season since it was always the most profitable time of the year. 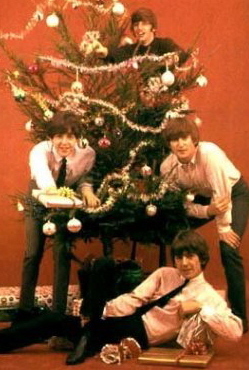 The Beatles were working to release a British album before the year was over, but Capitol felt they couldn't rally the troops to get it out in time for Christmas gift-giving. The release date for the American album containing their new studio material was proposed for December 28th, 1964, which Capitol felt wouldn't really start selling until the New Year arrived. 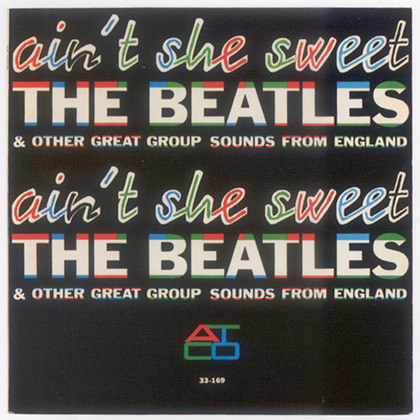 Therefore this Americanized album was entitled "Beatles '65." This left open the proposal as to what would be new to offer for Christmas gift-giving in America. 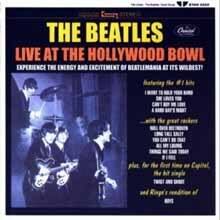 They thought ahead to have the Beatles' Hollywood Bowl concert on August 23rd recorded and released as a stocking stuffer, but EMI and The Beatles themselves gave the project a 'thumbs-down' when they heard the quality of the recording. Another proposed idea was, since Capitol legally acquired the rights on October 15th to the 16 songs previously licensed to Vee Jay Records, to release a "greatest hits" double album entitled "Best Of The Beatles." This album made it to the mastering stage and contained 12 of the tracks originally released on Vee Jay in the US. Although this would have made a superb Christmas gift, it mysteriously never materialized either. Their next idea did come to fruition and was dubbed by Capitol as "The Gift-Of-The Year" on in-store promotional posters. This was a double-documentary album entitled "The Beatles' Story." While this album presumably told the story of The Beatles' rise to fame and chronicled their success thus far, it only contained snippets of their music and hardly satisfied fans eager to hear new music. With the master tapes of the new songs scheduled to arrive at Capitol Records on November 9th, they felt they couldn't get a new album out in time for Christmas. But since many of the songs were already being heard on American radio in key locations from the already released British album, Capitol needed to do something about it. They were alarmed that US audiences would become familiar with six songs that they decided to omit from the American album until a future time. Capitol needed to rethink their strategy. Maybe they could get it out before Christmas after all. In order to alleviate this problem, they subcontracted three outside pressing plants (Columbia, RCA and Decca) to also press the new album. This enabled Capitol to push up the release date of "Beatles '65" by two weeks. The album hit the stores on December 15th, which was just in time for last-minute Christmas shopping. So if Beatles fans of 1964 didn't get the double-documentary album "The Beatles' Story" for Christmas, they got the long awaited "Beatles '65." Or both. In order to save the record label mechanical license fees, Capitol decided for the third time to limit the track selection to eleven songs. American consumers at the time weren't the wiser and were happy to have new product, thinking they were hearing the absolute latest The Beatles had to offer. Once again, Capitol executive Dave Dexter, Jr. had the final decision on the track selection and running order of the album, which gave him license (so he felt) to get a producer's credit on the album. 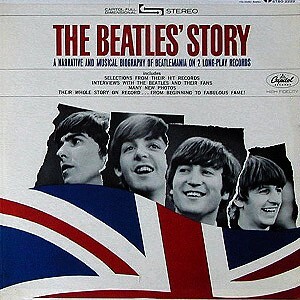 "Produced in England by George Martin and in the U.S.A. with the assistance of Dave Dexter, Jr." was proudly displayed on the back cover of the album. Side One of "Beatles '65" needn't be too imaginative as it consisted of the first six tracks of the British "Beatles For Sale" album. Side Two was where some forethought took place. Dexter started and ended the side with Carl Perkins numbers from the British album, which left six songs over for future release. 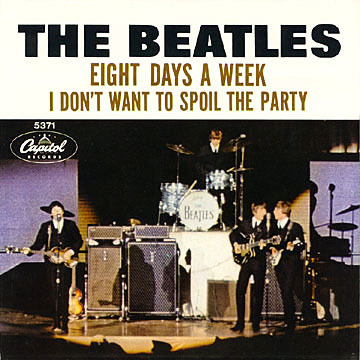 "Eight Days A Week," which started off Side Two of the British album, was a particular favorite because of its commercial appeal. Capitol earmarked it for the next single, which didn't arrive in the stores until February 15th, 1965. Dexter also kept in mind one leftover track from the British "A Hard Day's Night" album that hadn't been on a US album as of yet. "I'll Be Back" finally found its place in the homes of American Beatles fans on this album. 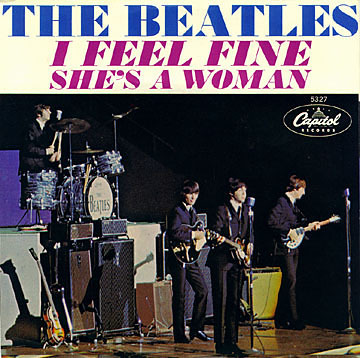 Then we had the recently released single which was beginning its ride to the top of the Billboard charts, namely "I Feel Fine" and "She's A Woman." Although they weren't on this new British album, they were excellent additions to the American album. "There was a lousy period when we didn't seem to have any material for the LP," John Lennon stated in late 1964 about the songs that make up "Beatles '65." "Now we're clear of things and now that they're due out, it's a bit of a relief...We're really pleased with the single and with the new LP." With The Beatles' hectic schedule in the second half of the year, they entered into a slight songwriting trough. After the juices started to flow, though, they came through with an incredible variety of original material. 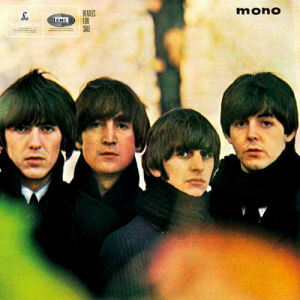 As the liner notes of the British "Beatles For Sale" album explained, "At least three of the Lennon-McCartney songs were seriously considered as single releases until John popped up with 'I Feel Fine.'" The three under consideration were "No Reply," "I'm A Loser" and the very commercial-sounding "Eight Days A Week," which ended up topping the charts in the US. All in all, "Beatles '65" contains anything but album filler. The overall maturity of these recent original songs was far above their cliché-heavy offerings of 1963. Coupling this with their becoming more adept in the studio, this being their second full album recorded on a four-track machine, their thirst for experimentation with different instruments began to emerge. 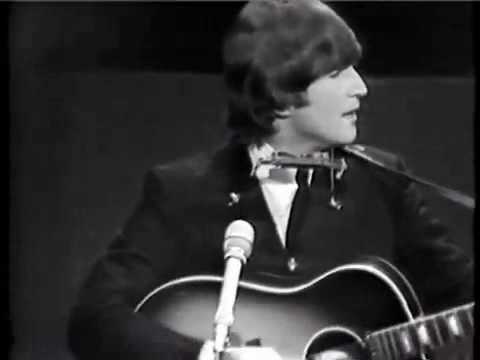 John mostly kept to his acoustic guitar throughout the album, which added an overall warm contrast to George's electric lead work. Paul was heard both on piano and Hammond organ, Ringo tapped on bongos and a packing case, and George Harrison "thumped" on an African drum. With John reprising his use of harmonica on one track and George Martin tinkling the ivories on another, we see The Beatles stepping out of their usual guitar/bass/drums format for broader horizons. With "I'll Be Back" fully recorded on June 1st and "Honey Don't" completed on October 26th, it took nearly five months to complete the "Beatles '65" album. It should be noted, though, that there were only eight recording sessions within this five month period needed to complete the album, which were interspersed within a crazy performing schedule. 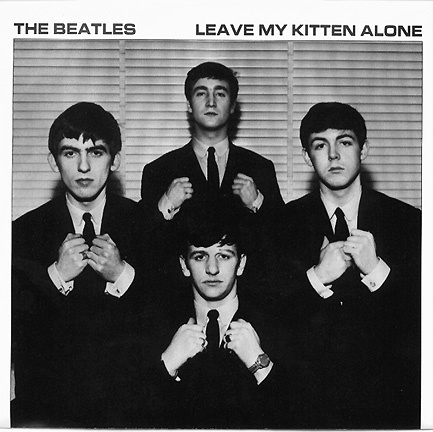 They even recorded an extra track during these sessions, "Leave My Kitten Alone," which never saw the light of day until the 1995 "Anthology 1" release. To say the least, the album was a huge success for both The Beatles and Capitol. It topped the Billboard album charts in its second week and stayed there for nine weeks, after which it stayed at #3 for five weeks, with sales figures passing the three million mark. Releasing it in time for last-minute Christmas sales wound up giving the record label an even more impressive sales figure for 1964, with an estimated 15 million Beatles records sold that year. CLICK ON THE SONG TITLES BELOW TO READ THE IN-DEPTH HISTORY OF THE SONGS ON "BEATLES '65"
"Something New" PREVIOUS - NEXT "Beatles VI"